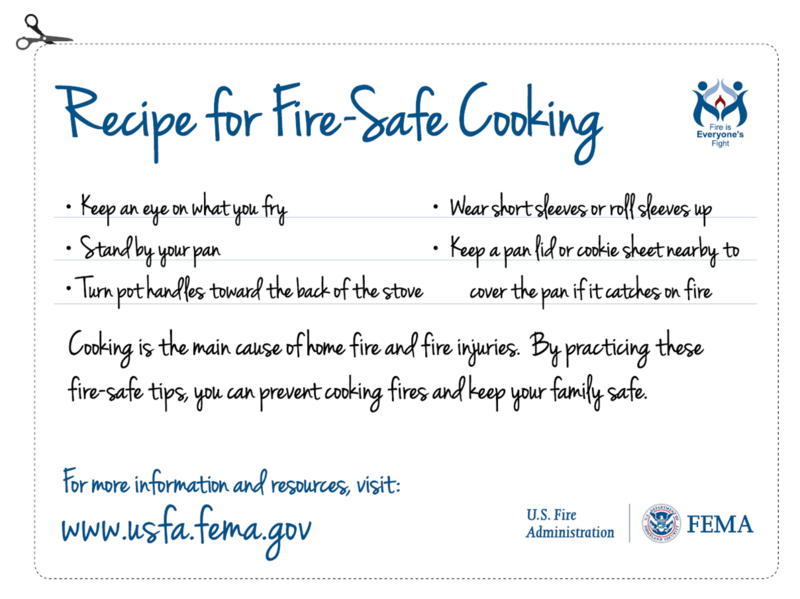 Roll up your sleeves or wear short sleeves while cooking so your clothes do not start on fire. After your guests leave, be sure all cooking appliances are off and all candles are blown out. Call 9-1-1 immediately if an oven fire occurs! Only use an approved turkey fryer with four legs and a built-in thermostat so proper oil temperature can be maintained. 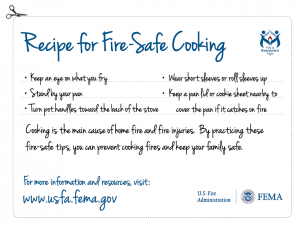 Make sure the fryer cannot tip over, a major cause of most fires. Fry outdoors, away from buildings and other combustible items. Never use a fryer indoors. Keep children and pets away while frying. Follow instructions on what size turkey should be used, how it should be cooked and what type of oil to use. Make sure the turkey is completely thawed and dry. Do not stuff the bird and don’t forget to take out the bag of gizzards. Lower the turkey into the hot oil slowly. Never leave the fryer unattended. Wear fry gloves; regular oven mittens may not be insulated enough. Splashing oil can cause a flash fire and serious burns, so be careful. 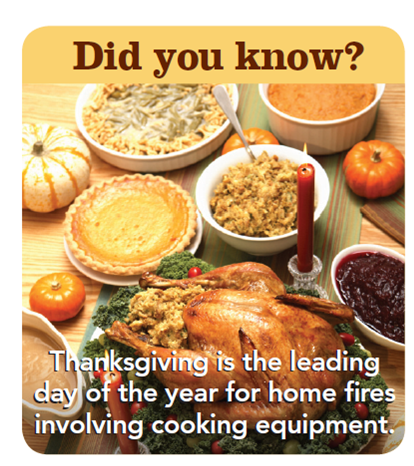 For a printable Thanksgiving Safety brochure to share with others, please click here. 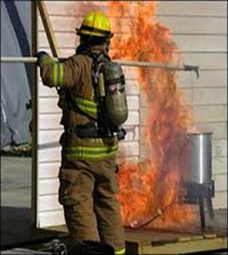 NFPA discourages the use of outdoor gas-fueled turkey fryers that immerse the turkey in hot oil. These fryers can lead to devastating burns and destruction of property. For more information on what you need to know about the dangers of turkey fryers click here.